When you want to use a VPN connection for dummies, this would take quite some time to be successful, but it will be worth it since you will get to enjoy using your VPN connection once you get connected. There have been a lot of problems regarding this set up; this is why this step by step guide on Ubuntu VPN connection for dummies is made. This will greatly help you set up properly a VPN, and use it to its maximum potential. This will also enable you to explore other capability of your VPN and the device you wanted to connect it to. 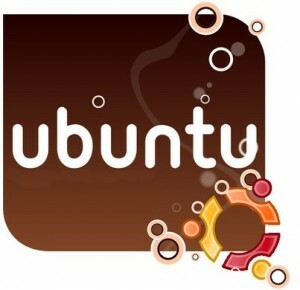 1- For you to be able to successfully set up an Ubuntu VPN connection, you need 2 installation packages, it’s either Synaptic or the Command line, you can actually install the first installation package and it will install the second one as a dependency. 2- You will now find and click on the Network connection icon, and then after clicking it, you will now see the button that says “VPN connections” as you point the arrow to it, it will have a side bar that says “Configure VPN”. 3- Once you are prompted with a window that has choices of, Wired, Wireless, Mobile Broadband, VPN, and DSL, you will click on the button that says “VPN”. Once you click on the VPN button, you will see a button below it that says “Add”. Click on it to proceed to the next step. 4 – In this step, you will be asked to “Choose a VPN connection type” and below it you will see a drop down button that says “Point to point Tunneling Protocol or PPTP. Then below that drop down button, you will see 2 buttons, the first is a “Cancel” button, beside it is the “Create”, button, you will click on “Create” button. 5 – After clicking on the Create button, you will now see a text that says “Editing Sample VPN”. Below you will find and click on the VPN button; here you will enter the information needed, such as the gateway user name, password and NT Domain. You can name the connection in any name you want, this is just to identify the VPN connection you are using. Then the gateway is the IP address of the VPN that you are connecting to. The user name and password is the user name and password of the VPN connection that you are connecting to. For the NT domain, you can try using both names, like ntdomain or ntdomain.local. You can check on this when your connection fails. 6 – You will now click on the advanced button to proceed. In this window, you will see a text that says PPTP Advanced Options. Below it, you will see Authentication text, below Authentication; you will now uncheck these, the PAP and EAP. Then check the box for CHAP, MSCHAP, and MSCHAPv2. Then check on the Use Point to Point encryption or MPPE box. The usual type of encryption is 128 bit or more, and you will select this type of encryption. All other settings should be unchecked except for Send PPP echo packets. Then click on the “ok” button and you are now done with Ubuntu VPN connection for dummies. This is a step by step guide on Ubuntu VPN connection for dummies, These are the best VPN Providers for Ubuntu OS and among of them hidemyass VPN has lots of advantages compared to other VPN’s available in the market.